Problem: An OEM of compressed natural gas (CNG) filling stations was looking for a replacement for their low cycle life 3 way ball valve. Constant stem leaks on their ball valve had become a safety issue and an unwanted expense. 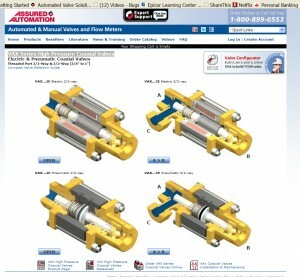 The OEM approached Assured Automation looking for a solution. Solution: The VAX high pressure coaxial valve was proposed which provides bubble tight sealing over millions of cycles. 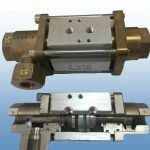 The unique coaxial valve design offers 2 and 3 way porting designs in brass or stainless construction, viton seals, pressure ratings up to 600 psi, and a bubble tight seal for the life of the machine. The compact design and elimination of maintenance on leaking ball valves resulted in a tremendous cost savings for this OEM. The reliability of the VAX Series for millions of cycles also improved the quality status of the OEM’s system in the market, since it did not require maintenance downtime any longer. These compact VAX high pressure coaxial valves can be pneumatically operated with the addition of a small pilot solenoid, or is also available in an all electric design (110VAC or 24VDC). Sizes available are 3/8″ to 1″ FNPT ends. Try out the VAX Demo Now!